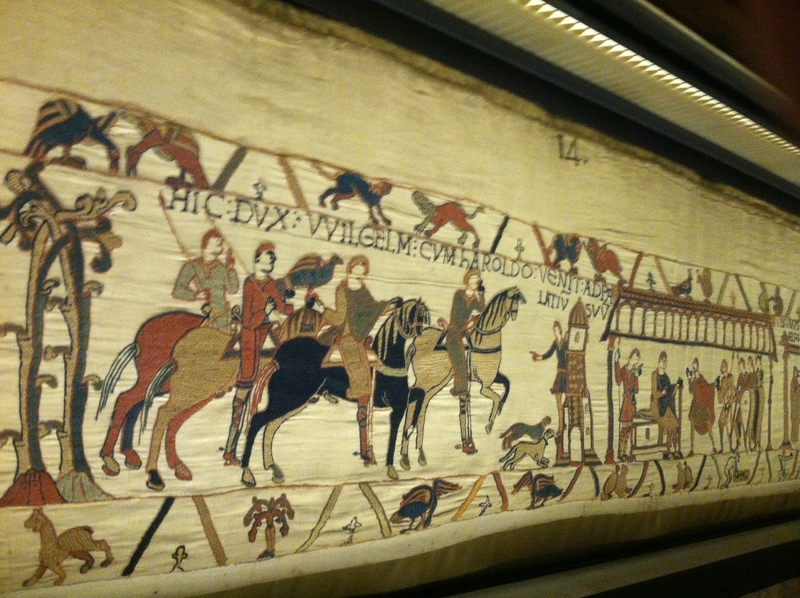 Today I went to see the Bayeux Tapestry, which is really wool embroidery on linen. 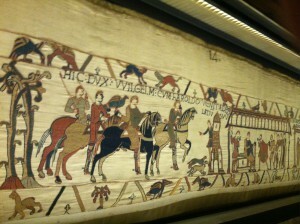 It is about 150 feet long, and shows how William the Conqueror became king of England in 1066. 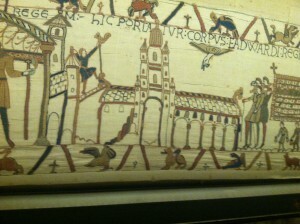 They believe it was made within 20 years of 1066! 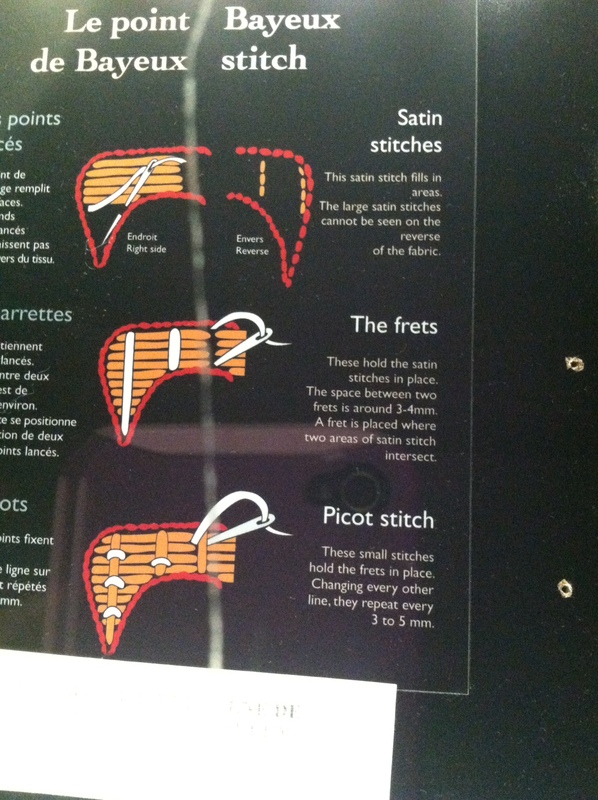 It’s amazing that anything that old, made of fabric still exists (outside of Egypt where it’s so dry that 1000 year old fabrics aren’t unusual). 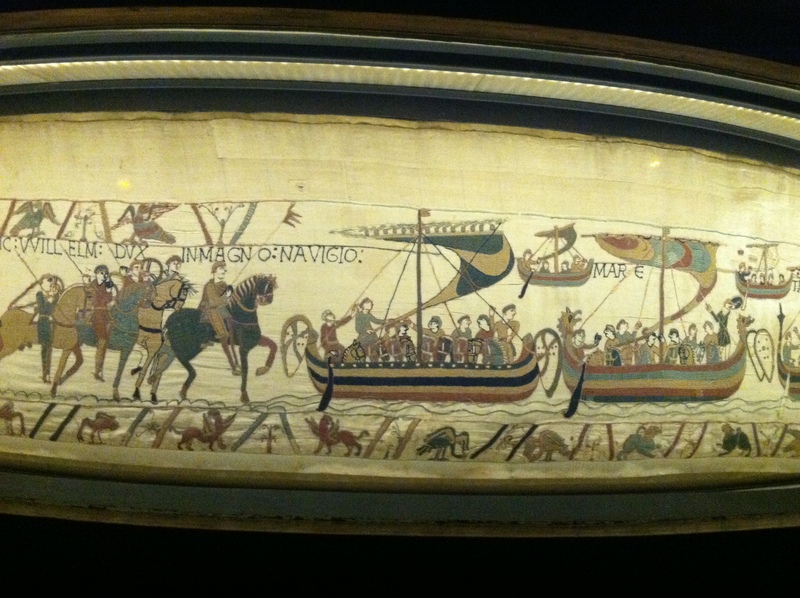 This tapestry/embroidery is amazing! Here is a description of the embroidery stitches used. 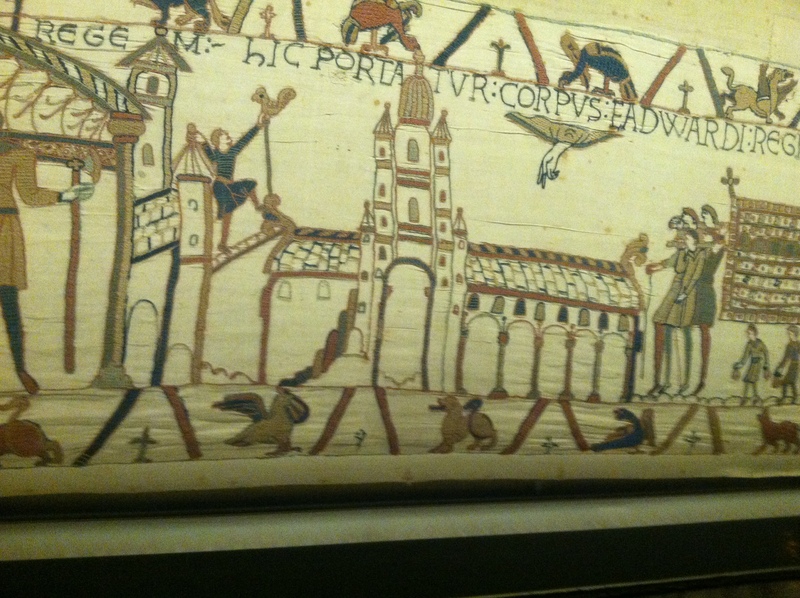 I’m sorry that the photo isn’t very good. I took it through a pane of glass.